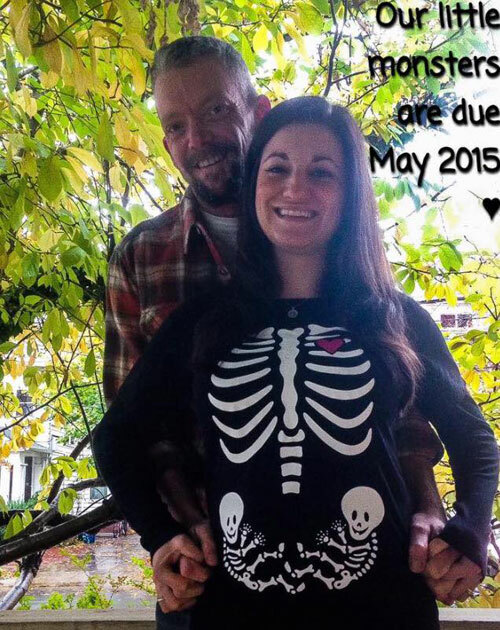 There are many creative ways to announce a twin pregnancy. 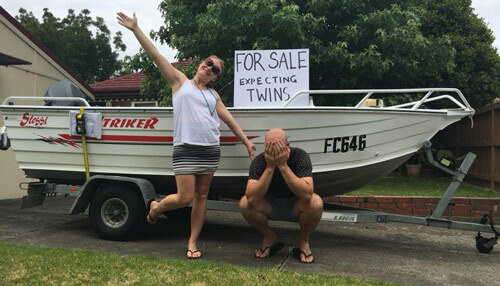 Since most of your friends and family won’t be expecting the surprise news that you are having twins, you can have some fun when you announce you’re expecting twins. 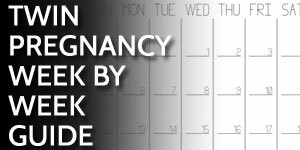 While you’ll find many creative ways to announce a pregnancy by searching online, most are relevant to singleton babies. 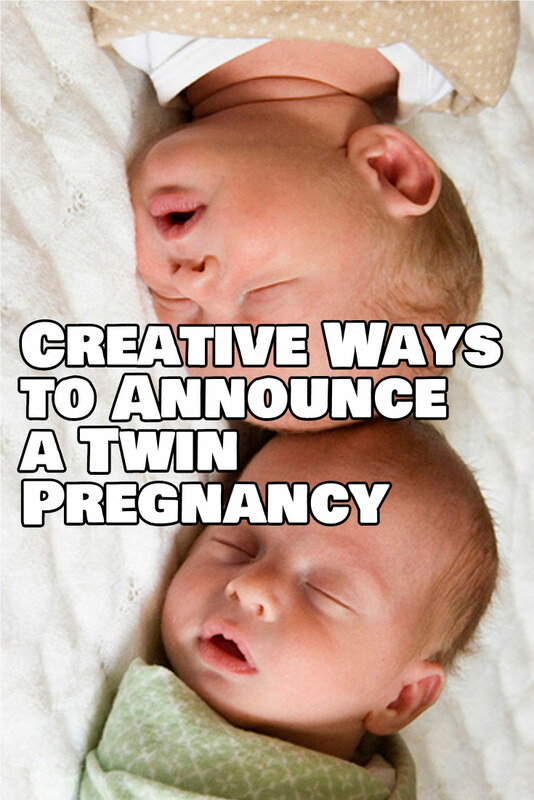 Below is a collection of creative ways to announce your twin pregnancy, twin announcement ideas, and examples from real twin parents like you. 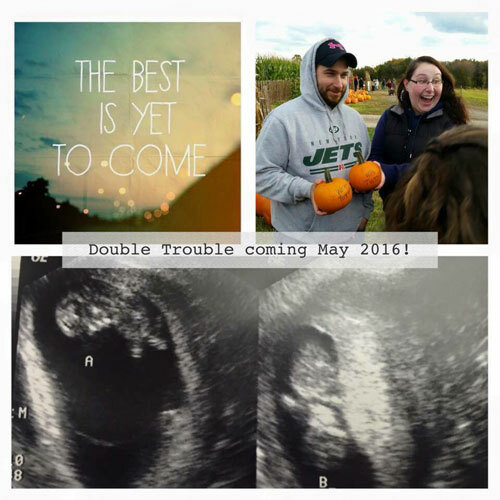 Check out how these twin parents announced their twin pregnancies and then I’ll share what we did for our twin announcement. You were shocked when you found out about twins. Why not share that emotion with others? 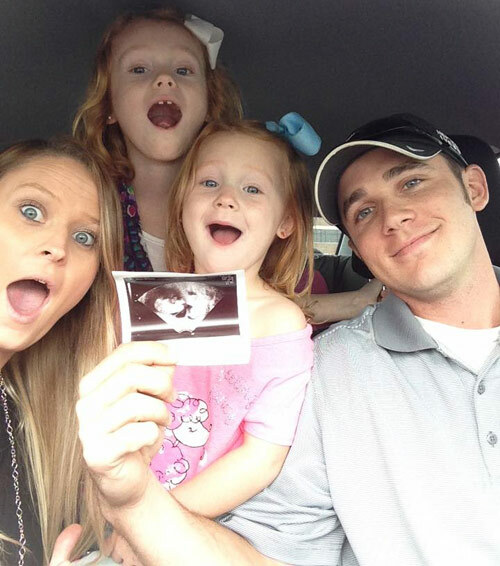 Capture a picture of you and your spouse and/or family looking shocked over the twin ultrasound. 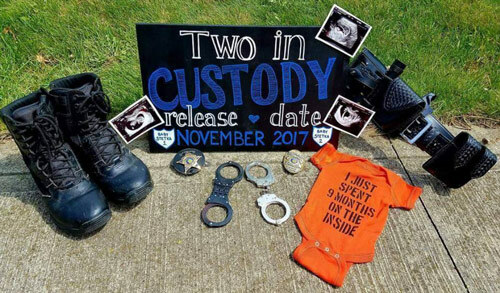 Try this police and jailbreaker twin announcement theme if you have law enforcement in your family or the props to pull it off. Put your friends and family to the test with this twin math quiz. Take a picture of your spouse and any kids you already have. 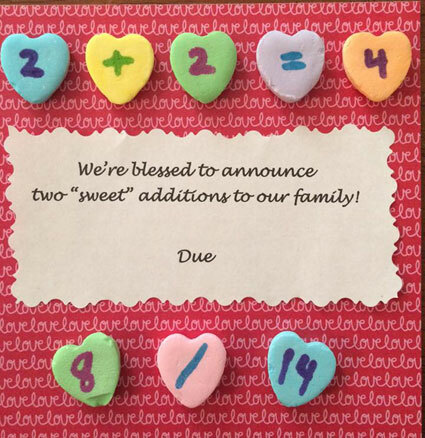 Add a plus sign, mom, an equals sign, and the number of the new size of your family. A picture like this makes a great twin pregnancy announcement Christmas card. 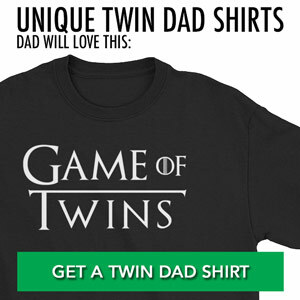 In addition to making cute onesies for your twins, use this copy and paste theme to announce your twins to the world. 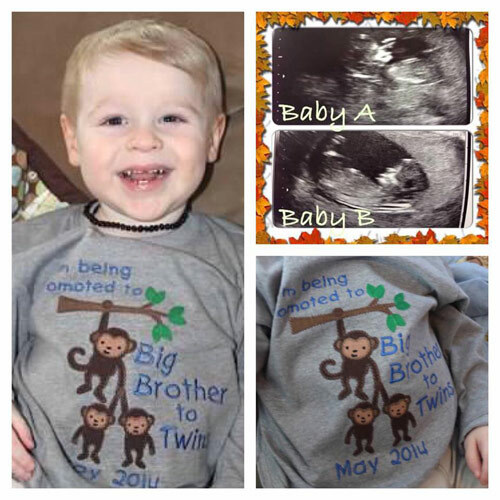 It is helpful to combine with an ultrasound picture to complete the surprise. 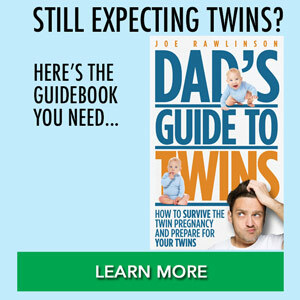 We all know the stress about paying for twins. Plus you’ll have your hands full caring for them. As such, there won’t be much time or money for hobbies (at least in the early months). Does Dad like to hunt? 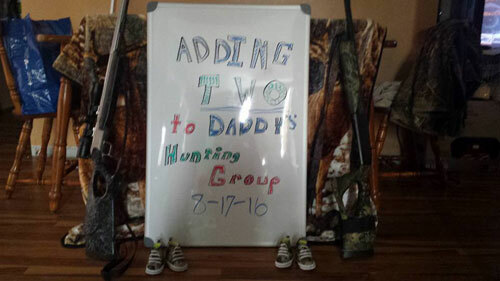 Grow your hunting party with this twin pregnancy announcement. Are you and your spouse fit parents? 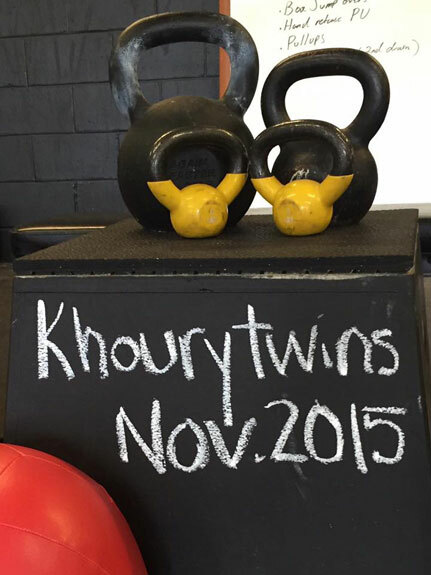 Try this CrossFit inspired twin pregnancy announcement. Use Dad and Mom sized kettlebells with twin baby kettlebells. Look at you and that lucky roll that got you twins! 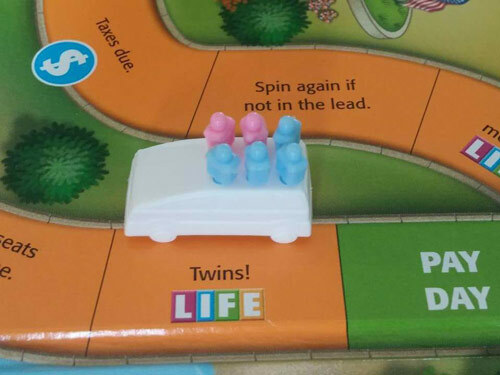 I bet you never thought you’d be having twins when you landed on that space in the game of Life when you were a kid. Haha! Now you’re twinning like a pro. Dress up your other children and have them help you announce the twins to the world. This can be with custom t-shirts or other creative means like those above. 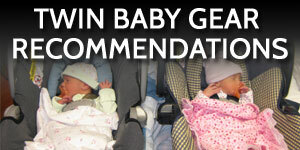 Do you know those classic “Baby on Board” signs that hang in car windows? 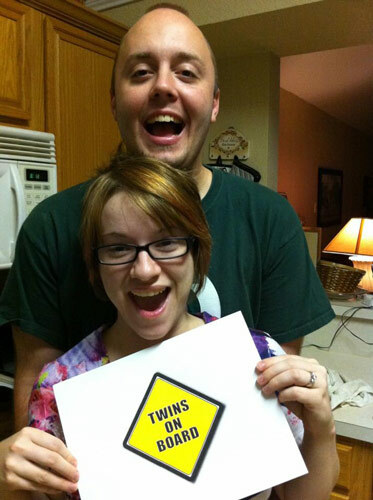 Here’s your chance to “twinify” that with a “Twins on Board” sign to announce your twins. What is your favorite movie? 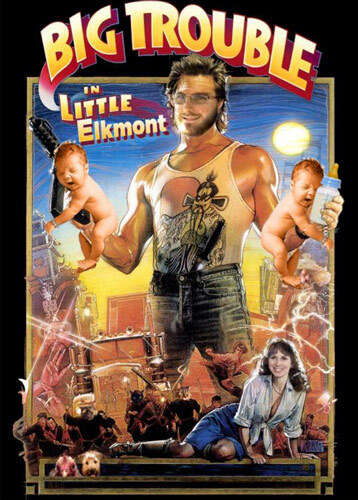 Grab the movie poster from your favorite flick and customize it to announce your twins. Yes, you’ll need a few Photoshop skills but the result is sure to be hilarious. Who doesn’t love kicking your feet up and relaxing? 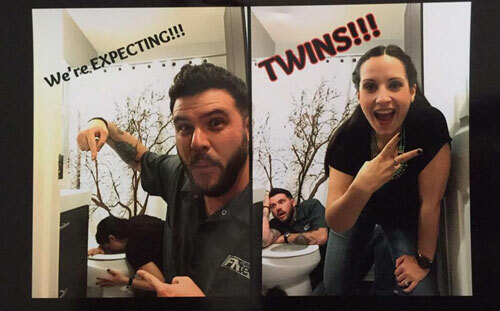 Since you won’t be able to do that once the twins arrive, you might as well use it in your twin pregnancy announcement. Everyone loves fortune cookies. Invite your friends over for dinner or a party and let them open these fortune cookies to announce your twin pregnancy. Love cooking? 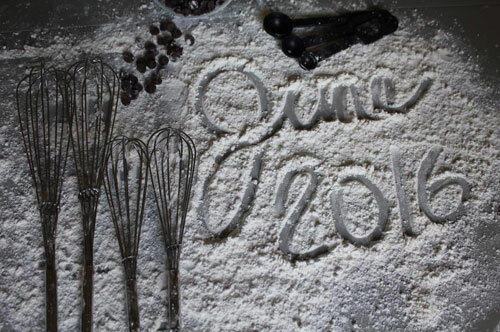 Use your kitchen and culinary supplies to cook up a unique twin pregnancy announcement. If you’re a Star Wars fan like me, try announcing your pending Clone Wars. 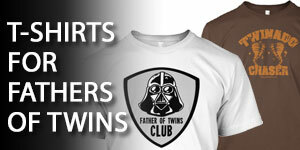 Better yet, grab one of these My Sons Are Clones or My Daughters Are Clones t-shirts to complete the announcement. 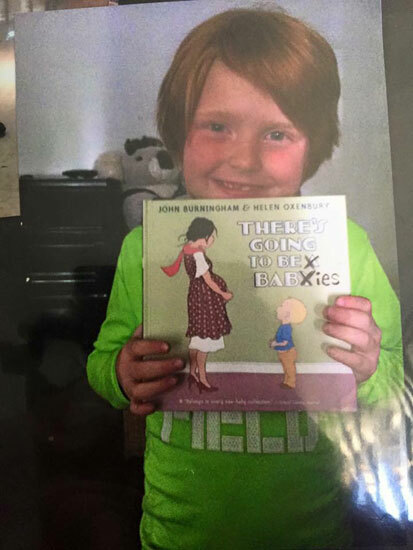 Use a book you already have (or buy one that will work) to announce your twin pregnancy. Have a chalkboard? 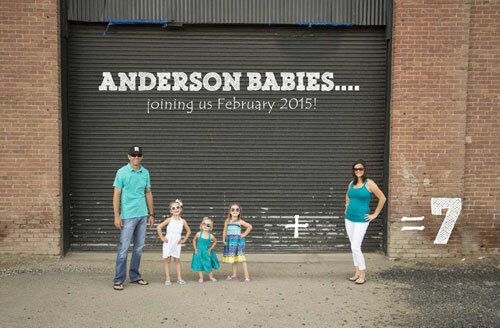 Make your twin announcement on that with creative and stylish letter designs. 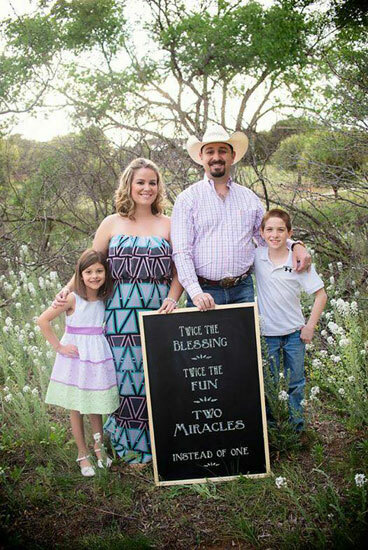 Twin pregnancy announcement poems often work very well on chalkboard-style announcements. Surround your sign with baby supplies and boom! You’ve got an announcement. 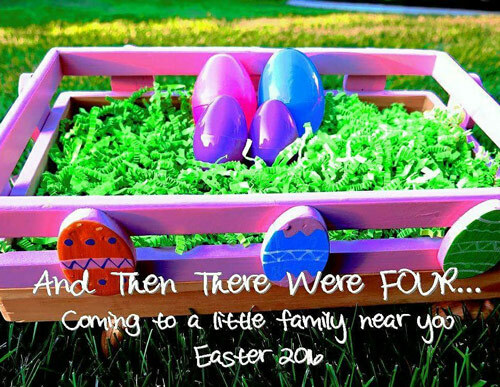 If you’re finding out about twins around Easter (or they are due near Easter), use all those leftover eggs and decorations to your advantage in announcing your twins. 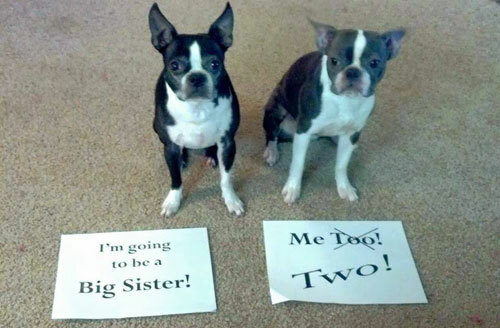 Why not share a twin announcement that really tells people how you felt when you got the news. This will do just that. 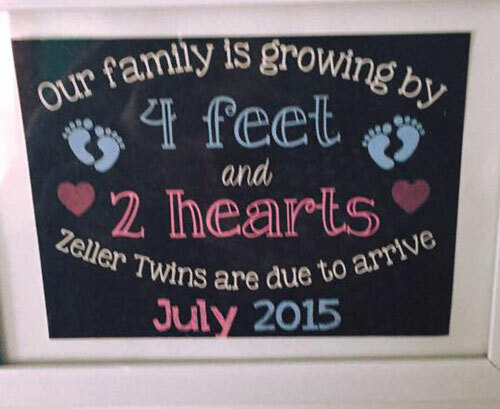 Put a fun phrase together like “Our family is growing by 4 feet and 2 hearts”. 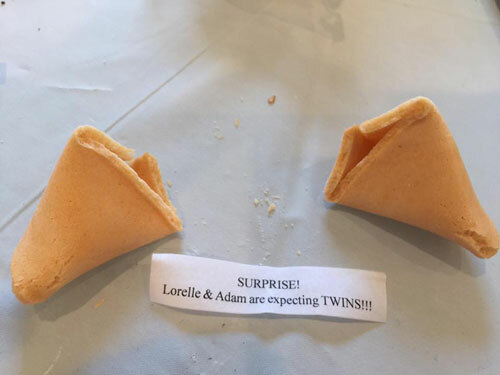 At first, people have to think about it and then will realize “oh, it’s twins!” and that this is your surprise twin baby reveal. If the season is right, you can highlight your growing pumpkin patch. For our twin pregnancy, we bought two little identical picture frames that hold wallet size photos. For each picture frame, we printed off a picture of baby feet. In the first frame, we put the words: “Save this space for me” over the picture. In the second frame, we had the words: “And me too”. We wrapped both frames up together as a gift and gave them to the grandparents. 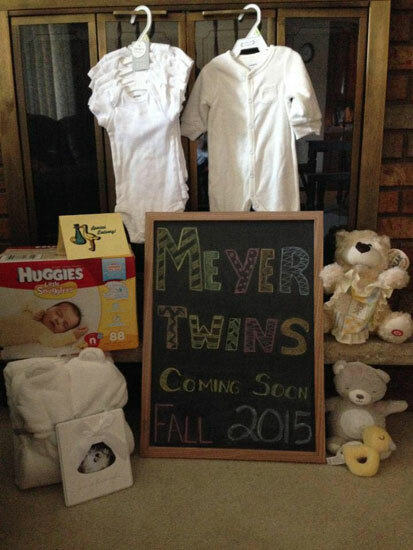 Since we found out we were having twins on Christmas Eve, a gift wasn’t an unusual thing to receive. 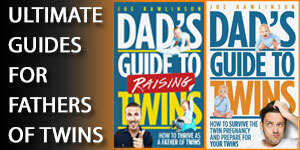 However, if you want to announce your twins some other time, the gift idea will still work. Everyone loves to get a present! Then they read the words and realized we were announcing our pregnancy. They asked, “Are you pregnant?” Their happy response was brief as they tried to mentally process why they were holding two picture frames. It was a fun process announcing twins to grandparents who were completely surprised and watch as they slowly uncovered the announcement of our twin pregnancy. 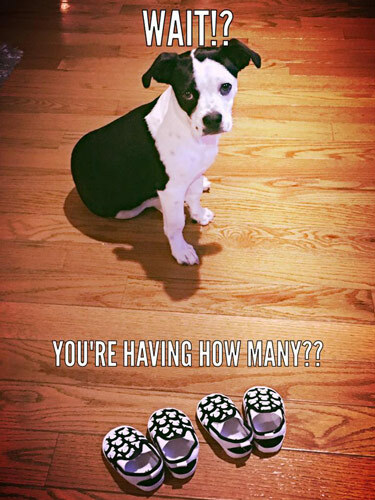 When you find out you’re having twins, you’ll have lots of people to share the news with. 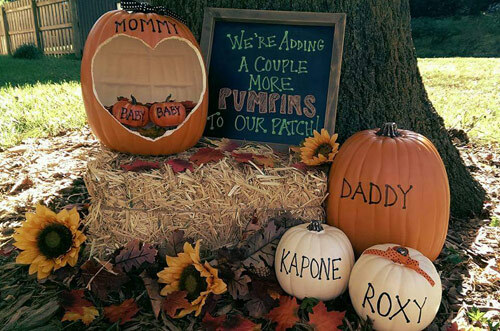 You may tell family and close friends in person, but it could be easiest to tell everyone else by announcing twins on Facebook or another social media site. Include a fun (and funny) message in your post using humor or a play on words. 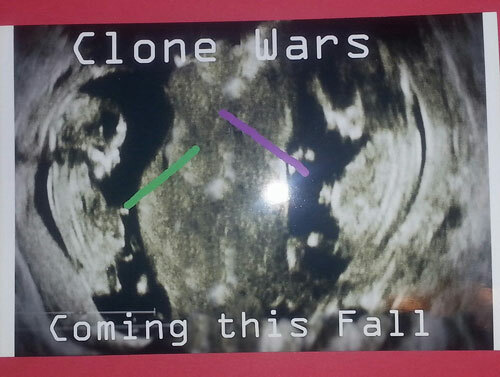 In addition to the ideas above, here are some clever twin pregnancy announcements to get your creative juices flowing. 20 fingers, 20 toes, four eyes, four legs, or other multiple body parts. 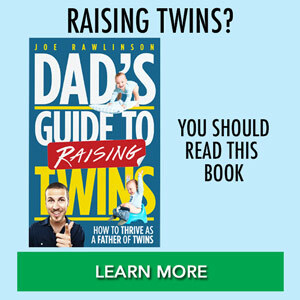 Many times, people’s initial reaction will be something like, “Wait, really?” Having twins is unusual enough that people will want to make sure they understood correctly. 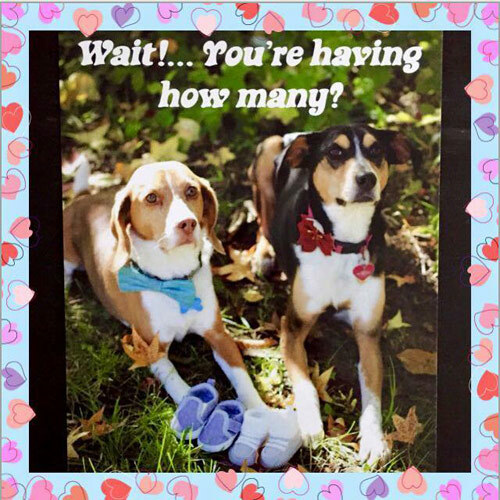 If your initial twin announcement is a little too ambiguous, follow up with something simple that states what should be obvious by now: We’re having twins! 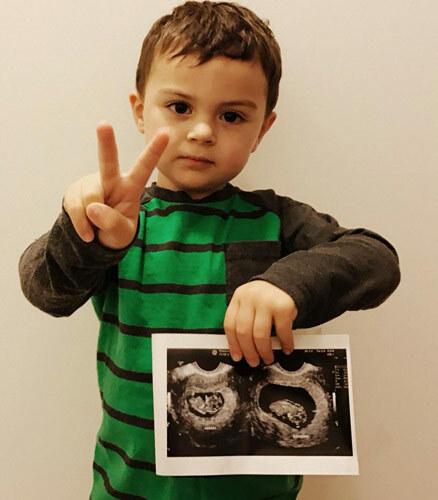 One obvious choice in announcing your twin pregnancy is to include a photo from your ultrasound. This may be from the first time you found out about your twins. 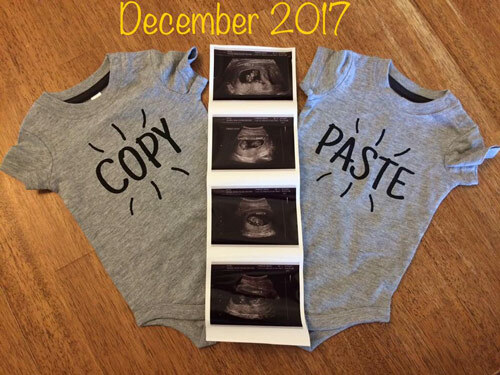 Ultrasound prints can include labels on them, so your ultrasound technician can label Baby A and Baby B or write “Twins!” on the ultrasound photo. If not, the grainy, black-and-white photos can be hard to interpret for people who don’t see them often, and you may need to help people understand what the photo shows. 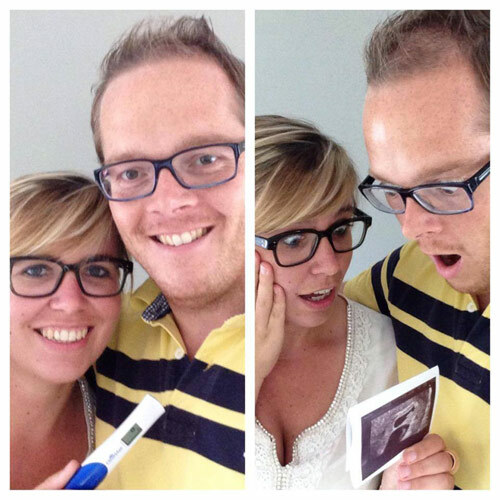 Remember, when you deliver the surprise “we’re having twins announcement”, people will be completely shocked. 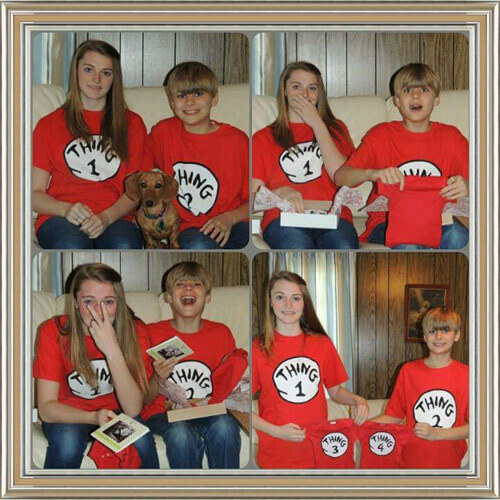 Enjoy the moment and plan your creative way to announce the pregnancy so you can have great memories of the announcement. 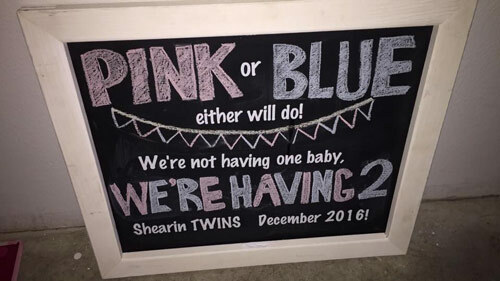 Do you want to do a surprise twin announcement at the gender reveal? 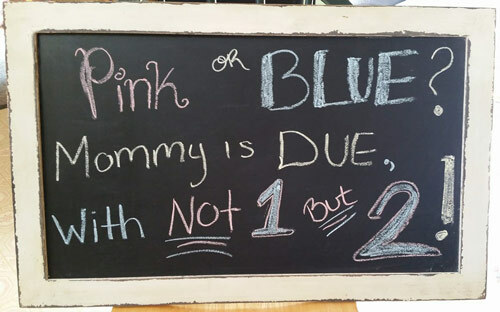 Check out these twin gender reveal ideas. Which announcement is your favorite? 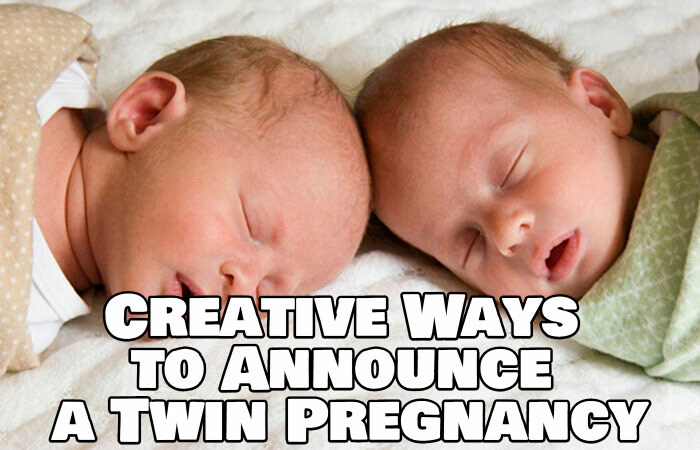 Leave a comment and let us know or share what you did to announce your twin pregnancy. Special thanks to Maranda Lane, Mike Hildreth Jr., Randee Anderson, Jonathan Edwards, Megan Brown, Brandi Porcelli Khoury, Candy Garrison, Hank-Ashley Laurence, Stephanie Fontaine, Lindsay Schwartzseid, Adam Ross, Bethany Williams, Gerardo Iannaccone, William Breymeyer, Arely Madrid, April Pache, Mandy Armes, Laura Barnett, Brian DeGross, Shannan Germond, Heather Lindsay Baker, Amanda Greenberg, Nikki Jackson Vaught, Ward Urlings, Shane Meredith, Shaun Thompson, Jess Anderson, Steve Wisniewski, Amanda Skinner, Tara Derenze, Tony Shearin, Andrew Spalding, Kristi Stetka, Amanda Chatwood-Price, Jason Corns, and Heather Zeller for sharing their twin pregnancy announcement ideas. 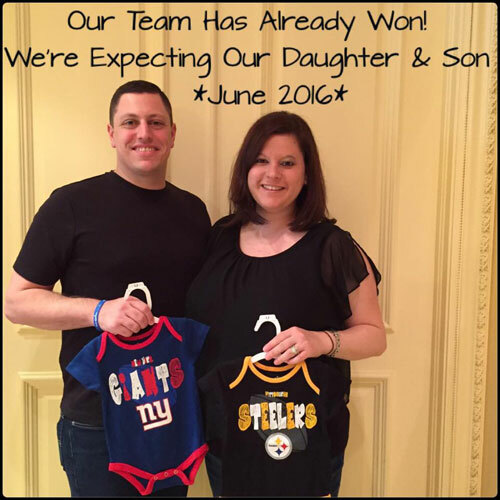 My wife and I are big users of Facebook so we announced with the same status at the same time! We had so much fun seeing who was the first to comment and how may total like each other got! @David – simultaneous Facebook announcements – very clever. I particularly like the little competition you both had. 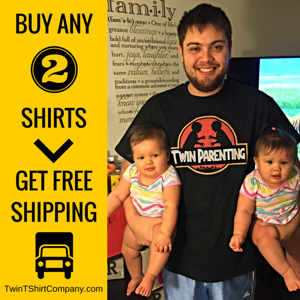 My sister had (fraternal) twins a couple of years ago – a little boy and a little girl. She decided to tell everyone in the family separatly and I loved the way she told me. I have a rock garden (it’s a sentimental thing to me) in my backyard and she asked me to take a walk with her. When we got the the garden she pointed out two new stones by the water’s edge. One was painted pink and the other blue. They are necklaced with a binky. I asked her if she was having twins and she smiled estatically. I was the first one she told (besides her husband) and we had fun thinking of random ways to tell the relatives. 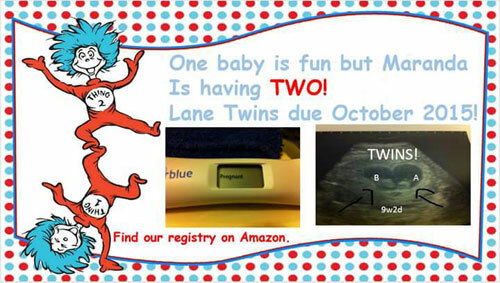 @Angel – that is a great story and a very unique and personalized way your sister let you know she was having twins. Thanks for sharing this! We told everyone on speaker phone. 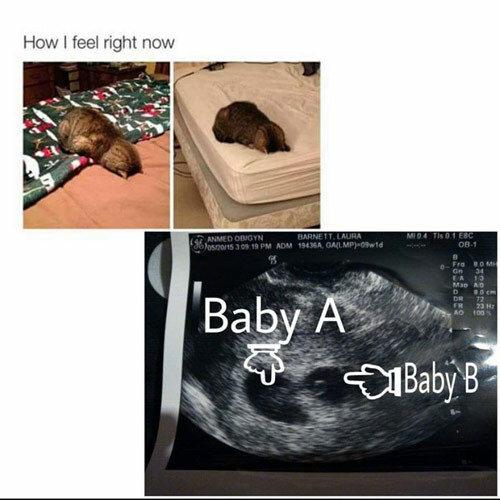 We were all so worried, since we’d found out about a previous miscarriage at that 8 week appt, so everyone wanted a call as soon as we were done. First they asked how everything was, and we answered “Perfect. Actually, twice as Perfect.” Then we waited for the phone to explode. It was awesome. When we told our son, he was like, “See, I told you there was a baby in there.” and we showed him the picture and asked how many babies he could see. And he studied it, and then says, “two babies?! ?” and starts giggling. It was a beautiful moment. the facebook picture is on my blog. 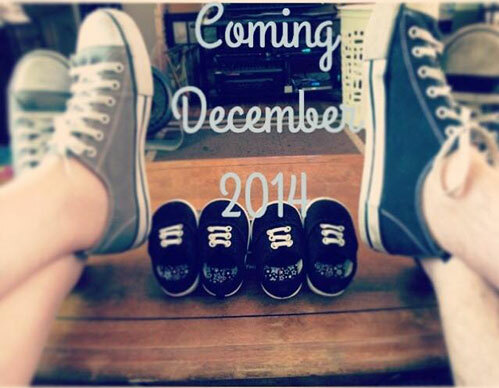 @Erin – thanks for sharing your story of how you announced your twins. I love the subtlety that makes people hesitate, think, and then realize what is happening. 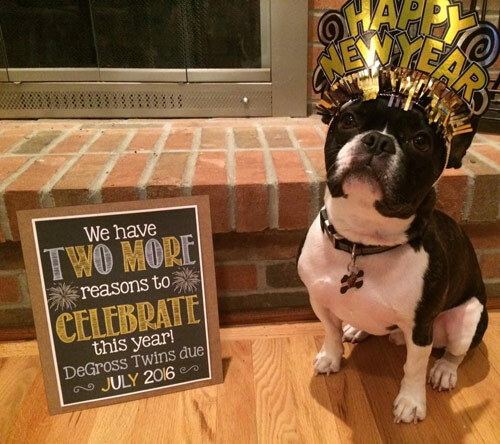 Similar to the chalkboard announcement but in a sequence. My friend drew on three different chalk boards “We can’t keep calm,” “we’re having,” “TWINS!! !” We each held a sign to take pics and then both were in the final pic with the twins sign along with our shocked faces!!! @Adrienne – great idea. Thanks for sharing! @Allied – sounds like fun. Thanks for sharing!